Coming to Pasadena TX Oct. 6, 2012! 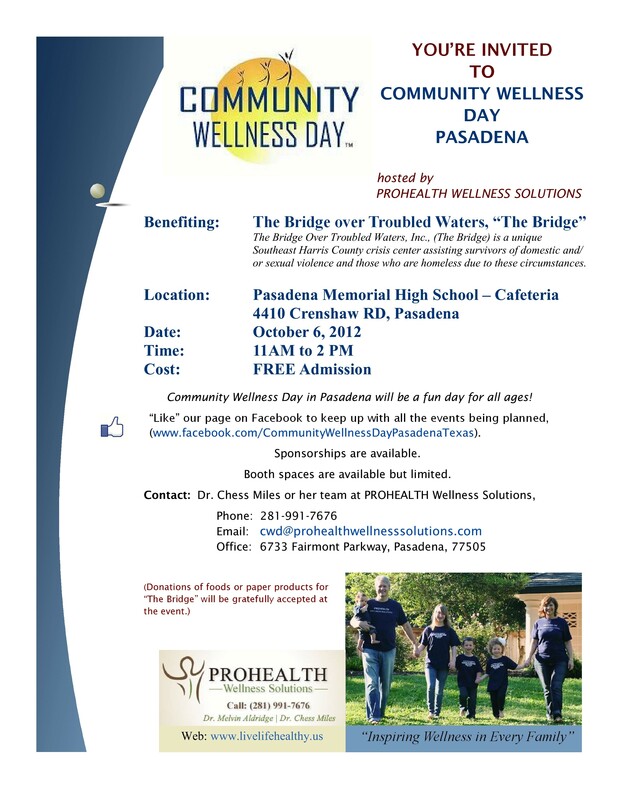 Our Community Wellness Day for Pasadena Texas is quickly approaching – October 6, 2012 from 11:00 to 2:00! We have been hard at work to bring this event for the first time to the Pasadena and surrounding area and are very excited to see the event taking shape. 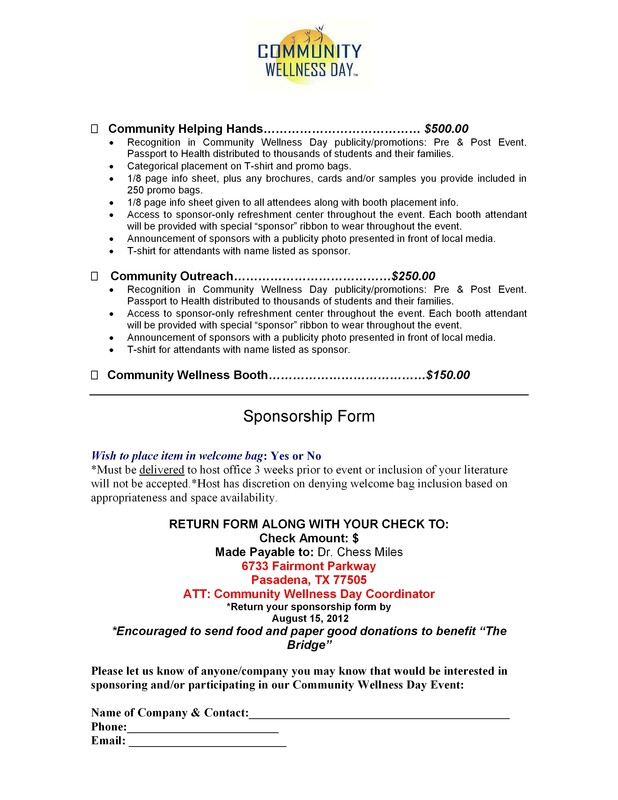 (For further details please open the Community Wellness page tab at the top of this blog. 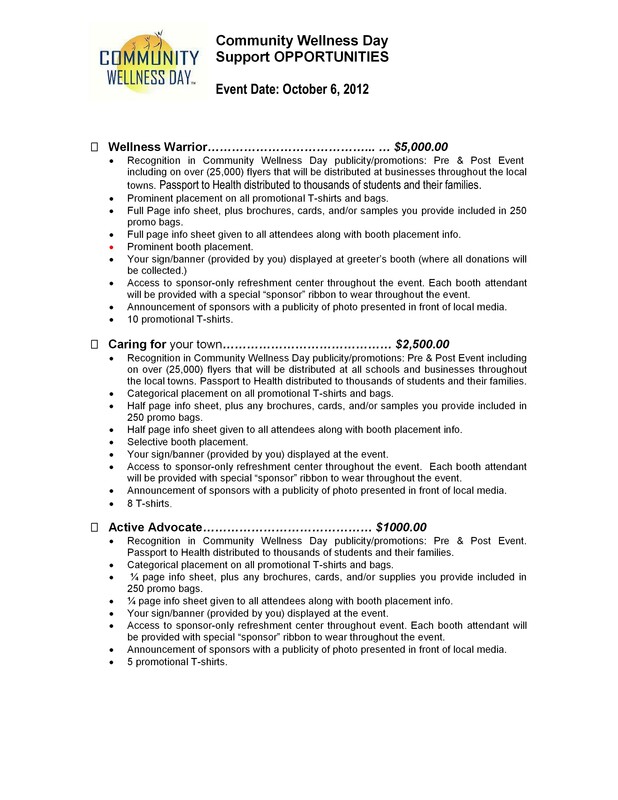 )The Mayor of Pasadena, Mayor Johnny Isbell, has issued a proclamation that October 6, 2012 is Community Wellness Day in the city of Pasadena. 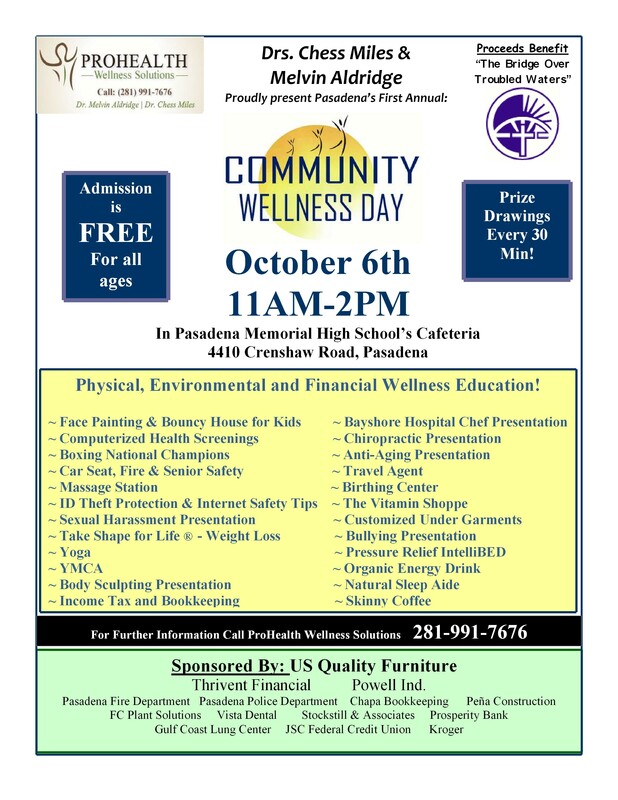 On Sunday, September 30, 2012, the local newspaper The Pasadena Citizen honored our event by putting us on the front page, spotlighting the importance of increasing health awareness in our community. A community is more than just about where you live. Community is about people who have something in common. A common desire of us all is living the best life we can. 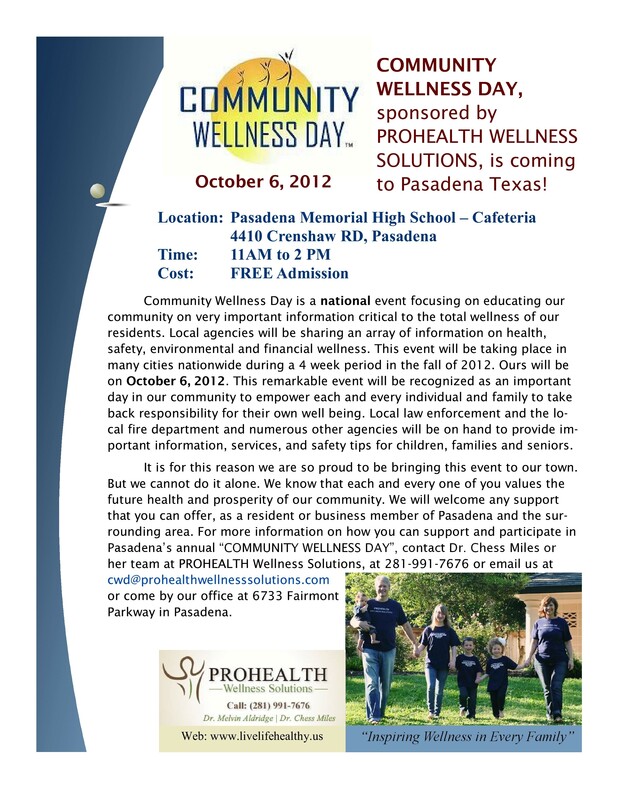 Find information on doing that by coming to Community Wellness Day – Pasadena, Texas on October 6, 2012, 11 AM to 2 PM at Pasadena Memorial High School – 4410 Crenshaw Rd. Check out this poster of all the great events there will be for people of all ages.